Wine quality and scoring is not determined by where wine comes from or how it is made. Ultimately, wine scoring is determined by certain properties and traits that only an expert wine tester can judge. Here are some of the factors that generally affects how most wines are being scored. A wine taster initially judges a wine by how it looks. 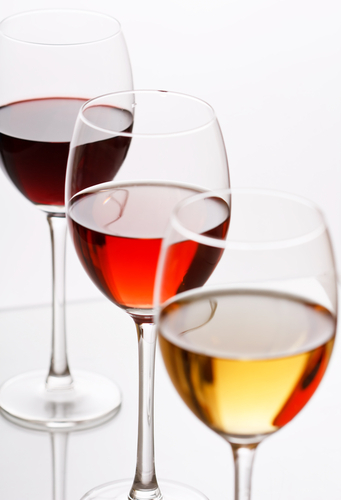 Two features, clarity and color, is what a wine taster looks for when judging a wine’s appearance. Wine transparency as well as the depth and quality of its hue (as in red wines), determines the appearance of wine ad how it is scored. The smell of wine is also important in its score. Wine has to have a certain aroma that will complement its taste and this is what wine scorers look for. The odors should have that ideal mixture of the distinctive unfermented grape as well as the wine’s interaction with its container. Certain characteristics are also determined from the wine’s aroma and smell. All these go into the wine’s score. This factor refers to how wine is felt as it hits the mouth. Its texture and weight is judges by the wine taster letting the wine stand for awhile in his or her mouth. A wine can either feel full-bodied with its rich and heavy feel or it can be of a light body which is more of a watery feel. Although most would think that taste is the most important aspect of the wine, it is actually the last factor determined by wine scorers. And it isn’t just a single impression that the wine tasters look into. They also judge a wine’s taste by how a sip of wine starts, follows through and then finishes. A flavor that lingers in the mouth is a characteristic of a good wine. Another important factor in scoring wine is how the wine scorer actually likes the wine. It may be the sum of all the experience that the wine taster gets from a certain wine. Different experts may have different preferences in judging a wine this way.